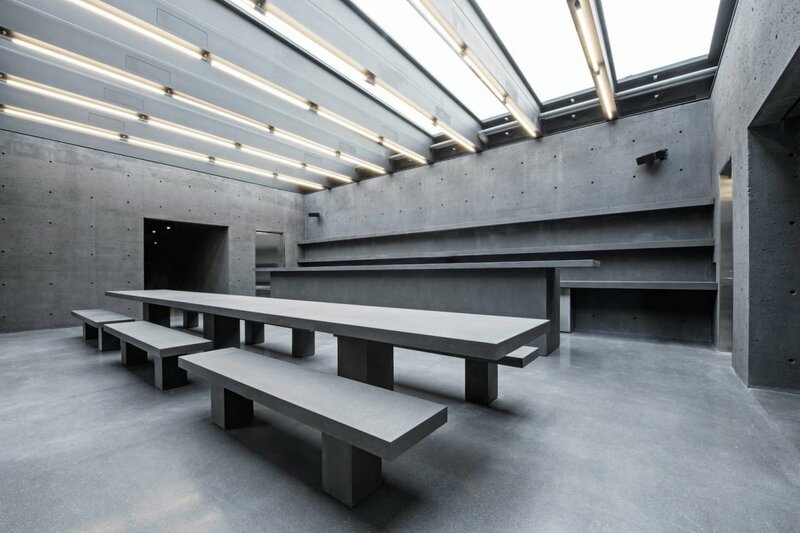 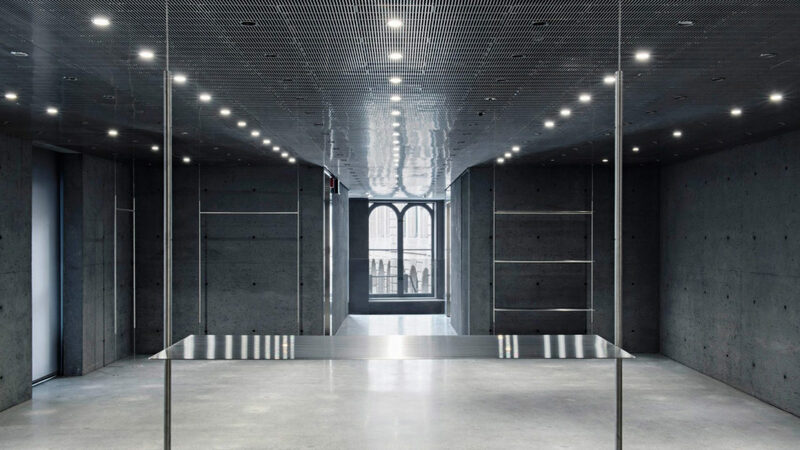 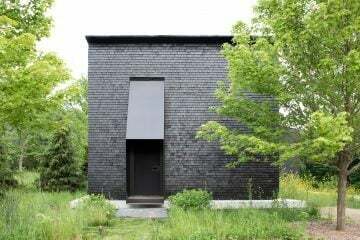 British architecture practice David Chipperfield has renovated a 19th-century building in Montreal, creating an avant-garde concept fashion store that is to be the first physical store for Ssense, the leading e-commerce platform which stocks luxury brands from Acne to Yeezy. 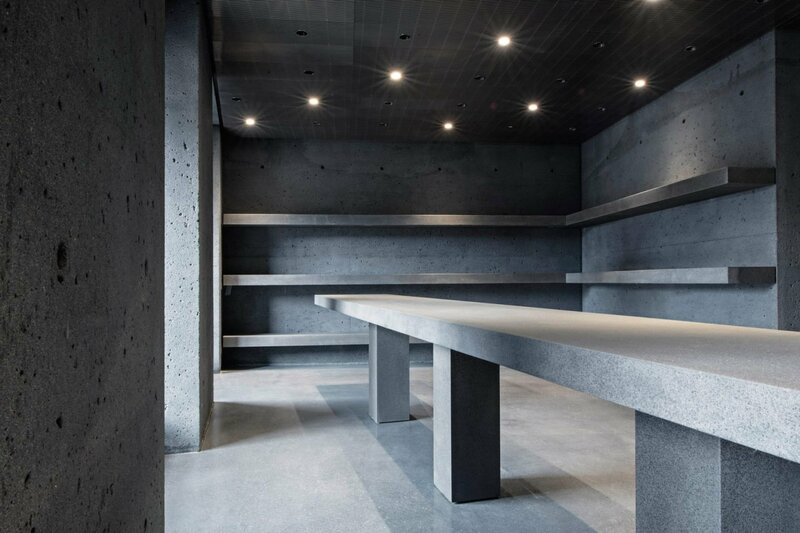 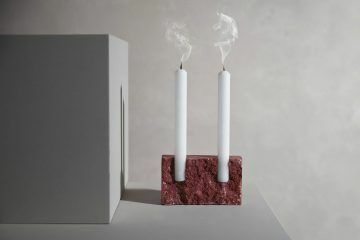 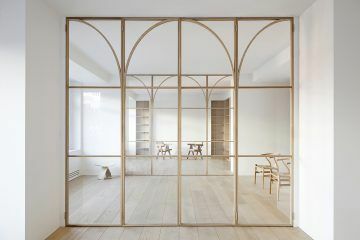 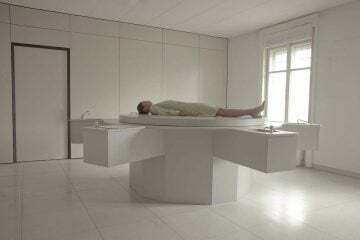 The renowned architecture firm has designed a sleek retail space with a raw concrete, mirrored, and metallic interior. 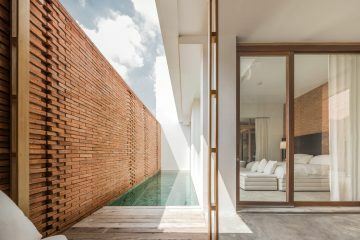 To preserve the original facade, a concrete shell was inserted behind the timber, providing support and a stronger base. 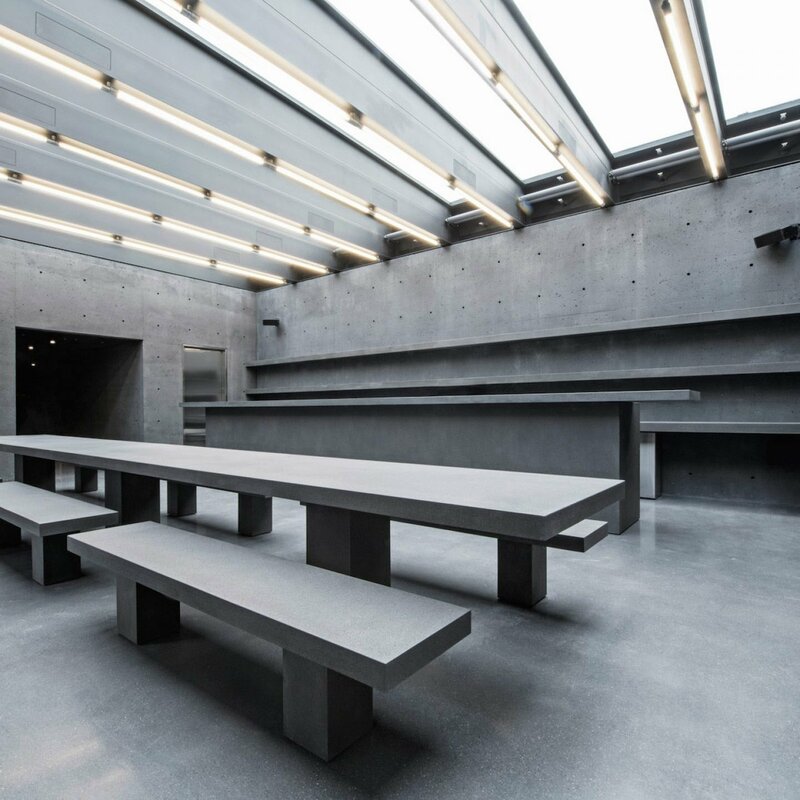 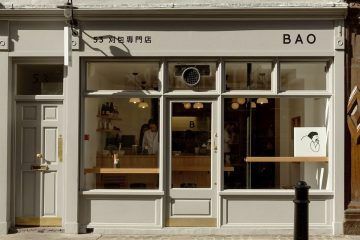 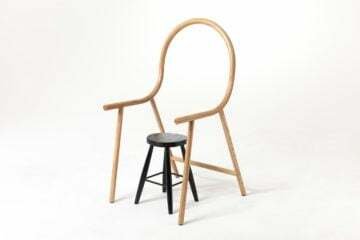 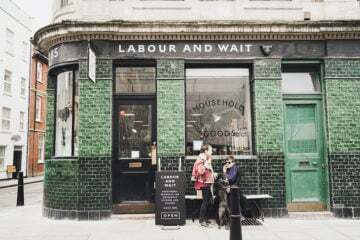 The store is essentially then a building within a building — an example of the contemporary and the archaic coming together to form something exceptional. 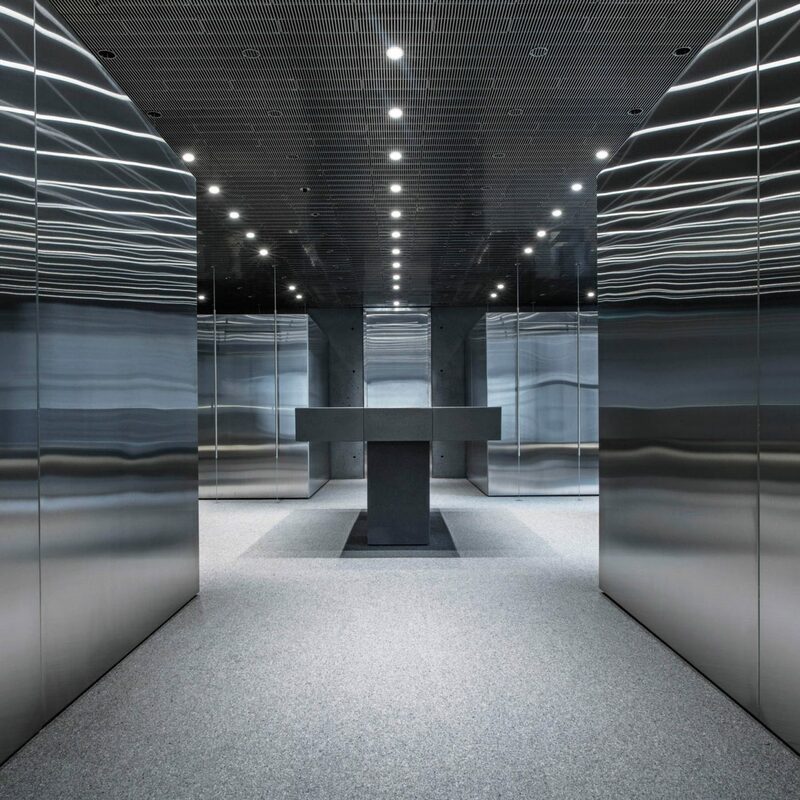 Designed to bridge the gap between online shopping and in-store purchases, the new store provides customers with state of the art buying technologies. 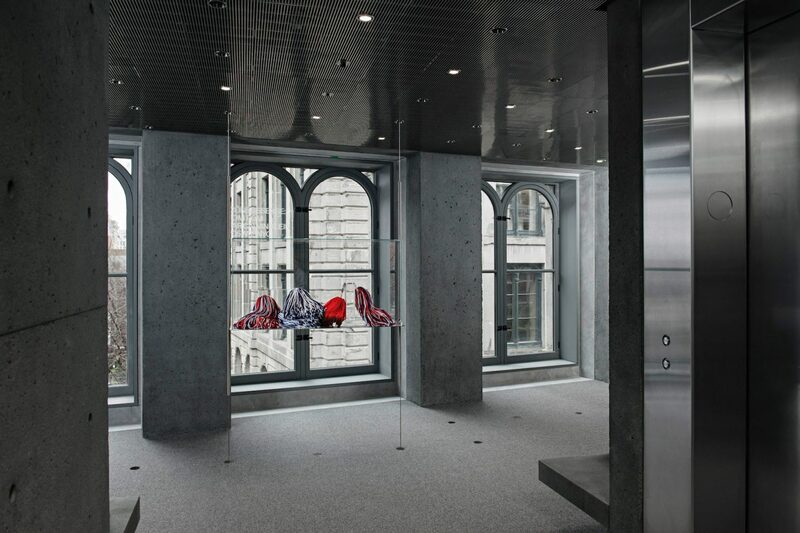 Using a new digital interface, customers are able to order pieces from Ssense’s online collection while in the store. 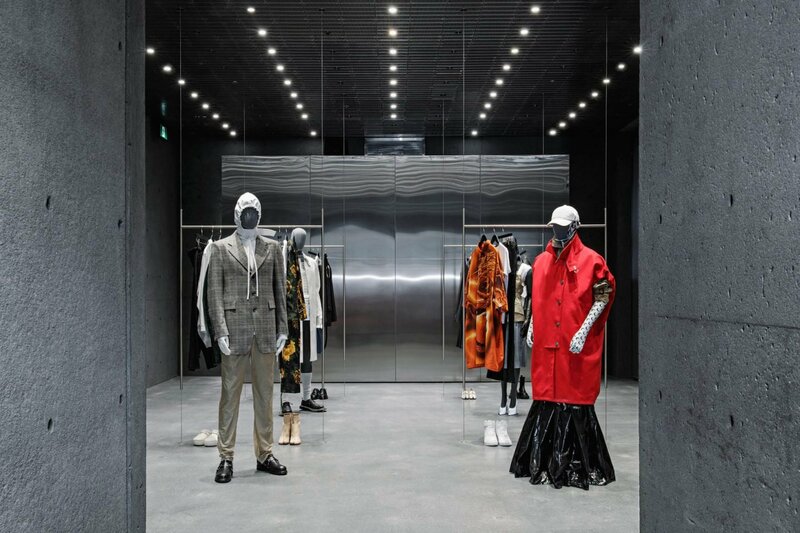 The clothing will be delivered within 24 hours, ready for the buyer to try on in one of the store’s grey-scale changing rooms. 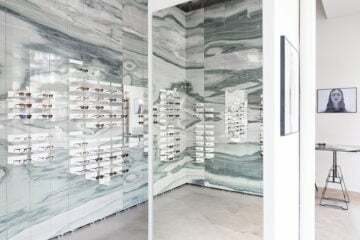 Customers are also able to book personal shopping and merchandising appointments online. 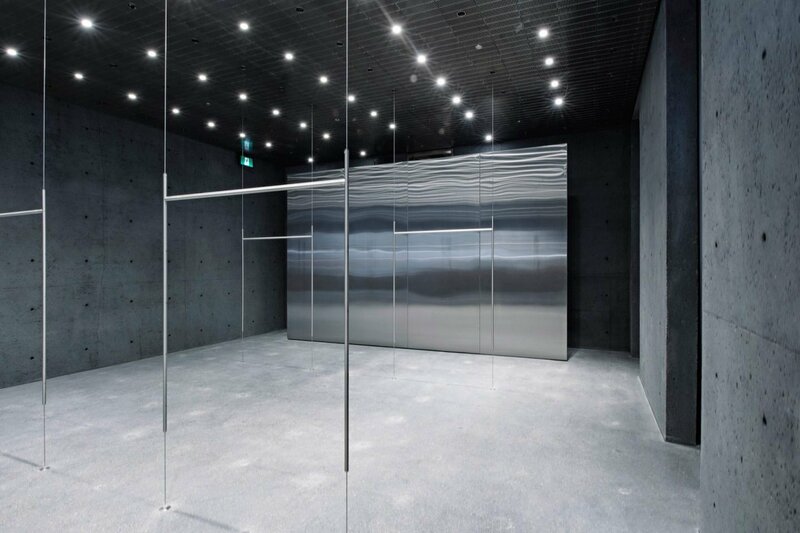 Two of its five floors are dedicated to fitting rooms and personal shopping appointments. 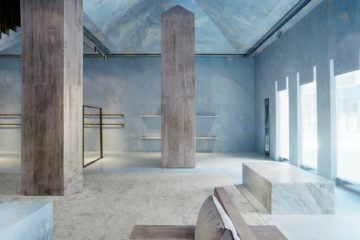 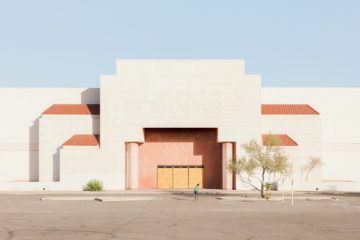 Despite being hugely successful online, Rami Atallah, the CEO of Ssense, explains that “e-commerce enables scale but is suboptimal in important ways, especially fostering human connection.” The changing retail landscape means that brands are becoming increasingly experimental with their physical spaces in an effort to draw customers in. 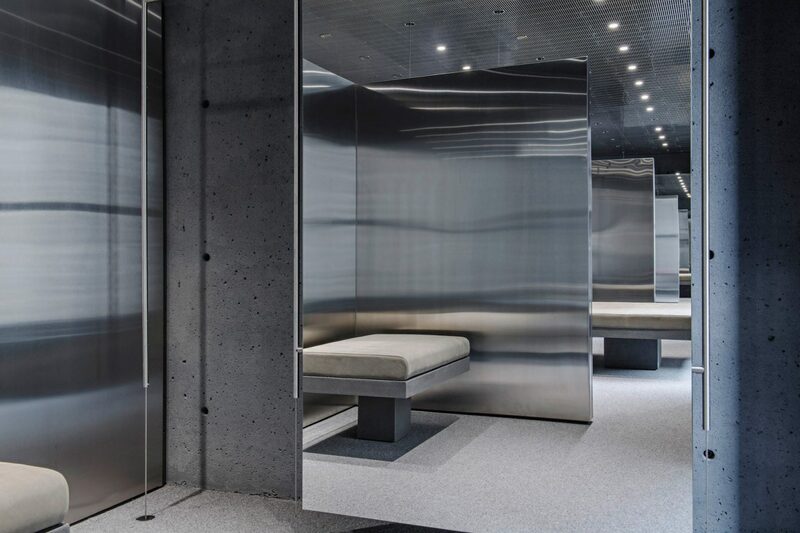 As Atallah continues, “a seamless integration with physical spaces fills the gaps in the customer experience.” The 13,000 square foot Ssense space features a vertical lift module for deliveries and storage, which is usually found in warehouses. 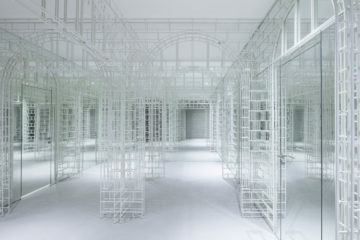 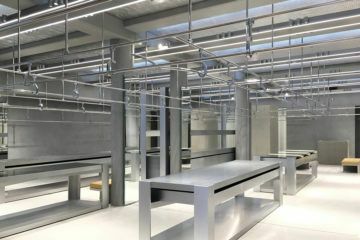 Wiring has been artfully hidden away in the walls, floors and ceilings to keep the store clean and minimalistic.The design firm installed a 60cm grid system throughout the concrete building which allows for such mechanical and technical installations.